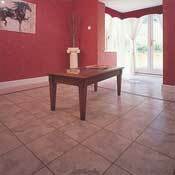 Karndean Vinyl Tile flooring is constructed with an exceptionally durable form of commercial grade, customized vinyl. 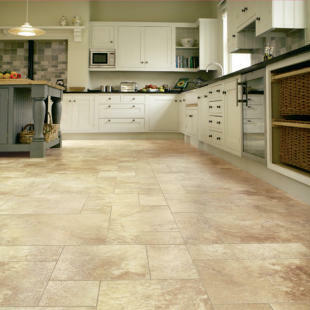 Karndean is not just a brand of vinyl floor, they strive to replicate all the beauty of natural tile and stone with none of the practical drawbacks. 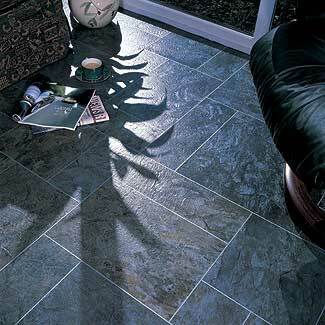 In fact, Karndean vinyl tile is virtually indistinguishable from the real tile and stone which inspires the design. In addition to being beautiful in your home, Karndean flooring offers significant advantages in design capability, maintenance, and cost. 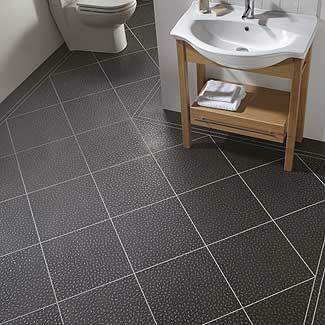 Karndean vinyl is easy to install, and is great for a DIY do-it-yourself installation. Your imagination is your limit with this vinyl plank available at wholesale prices. Karndean Vinyl Flooring is made of commerical grade vinyl flooring that harnesses the look and feel of real stone, porcelain, and ceramic. Here are some of the benefits to choosing a Karndean Floor. The first thing about a Karndean floor that grabs your attention is that it looks and feels just like the real thing. Your friends will never know the difference. Karndean is suitable for any room in the home, and because of its practicality is particularly suitable in problem areas. Even in the kitchens and bathrooms, where products such as wood and laminates can be adversly affected by water spillages, Kardean is the ideal choice. Much warmer to the touch than most natural flooring products, Karndean enables you to recreate the authentic look of a stone and tile floor without ever having to experience the feeling of cold bare feet on a winter morning! Whereas products such as wood and laminates can be very noisy when walked upon, a Karndean floor is very quiet underfoot, making it the natural choice throughout the home. Unlike the natural counterparts, a Karndean floor will not splinter, chip, or crack, Their products are extremely hard wearing; you can be safe in the knowledge that the very flooring you have selected is installed throughout the world in some of the most demanding commercial environments. A Karndean floor really shows its value with the consideration of longterm maintenance issues. Sanding and polishing of a natural wood floor and repairs to a damaged slate can be inconvenient and costly. Karndean requires no maintenance outside of their simple three stage cleaning system. Karndean has a great deal of practical advantages over it's natural counterparts. Unlike many other flooring options, Kardean will not harbor dirt and other bacteria and therefor is especially suitable in the family environment. With well over 100 standard products and a vast array of design components within their range, the design possiblilities are endless. Individuality is the key word; no floor need ever be replicated as individual designs are created to individual specifications. Taking the beauty and practicality of a Karndean floor into consideration, you may be suprised at just how affordable their products can be. In comparison to most natural floors and alternative design flooring brands, you will find that Karndean stands out as the affordable option. Karndean Tile & Plank is suitable for all interior floor surfaces, above, on or below grade, and over concrete or wood sub-floors. Also, when used conjunction with the K-91 adhesive, it is suitable for installation over existing vinyl floors. Subfloor reparation and installation procedures must conform to RFCI specification IS-2. It is essential to conduct a calcium chloride test (moisture test) on all concrete floors. The test should be conducted around the perimeter of the room, at columns, and where moisture may be evident. The moisture emissions from the concrete when using KNA322 should not exceed 3.0 lbs. per 1000 square feet in 24 hours and when using K-91 should not exceed 5.0 lbs. per 1000 square feet in 24 hours. This is RFCI Regulation. During this preliminary moisture testing period, Karndean Tile & Plank should be present at the job site to allow an appropriate period for the product to acclimatize. This is very important: not doing this can result in expansion/contraction of plank. If the concrete exceeds moisture limitations, the installation should not proceed until the problem is corrected. A moisture problem can be corrected by sealing the concrete with any one of the many brands of concrete sealers available. After the sealer has been applied, re-test to ensure that the problem has been corrected. It is essential that the correct adhesive is used as the sub-floor can change from porous to non-porous when using a sealer. It is important to note that a moisture test indicates conditions at the time of testing only. The flooring contractor cannot be held responsible if the moisture appears in the future, causing adhesive failure. Please note that new concrete sub-floors contain a high percentage of moisture and must be allowed to dry out. Industry standard is 90 day dry out time. The drying time will depend on several conditions, such as the type of concrete used, average air temperature and thickness and location of the slab. Underlayment panels are used to correct deficiencies in the subfloor and to provide a smooth, sound surface on which to adhere Karndean Tile and Planks. There are numerous suitable underlayment panels, such as Structurwood, Tech Ply, Accu Ply, 6 Ply Birch. Multiply High Grade and Masonite brand underlayments, the most common of which is 1/4' APA underlayment grade plywood. Particle board, strand board and flake board are not RFCI-recom-mended underlayments, and therefore are not recommended for use as a subfloor to Karndean flooring. Always fasten underlayment panels in accordance with the manufacturer's recommendations as any failure of the underlayment or Karndean flooring product as a result of the underlayments is the responsibility of the underlayment manufacturer. Suitable underlayment with a fully sanded surface and a minimum thickness of 1/4" is preferred. The sub-floor must be free of any foreign material, such as dust, grease, oil, polish, loose material or any other separating agents that may cause staining, telegraphing or adhesive failure. Concrete sub-floors are also suitable provided the concrete's moisture content is within the specified parameters. Seams, cracks, indentations and other sub-floor irregularities should be patched using a Portland based patching compound or leveler. Other types of levelers, such as calcium sulfate/plaster/gypsum based compounds are not recommended, as they may harbor and promote mildew growth, provide low indentation resistance and offer poor bond and adhesion strength. any cuts, gouges, dents or other irregularities in the existing floor and any existing embossing or texture must be leveled to prevent telegraphing; with a Portland base skim coat. if existing floor has been installed over concrete, on or below grade, one calcium chloride moisture test must be performed for every 1000 square feet. The results of the test must meet the requirements of both the existing floor and the Karndean floor. Moisture tests should be conducted over an area where the existing floor and adhesive has been completely removed. Use KNA322 Adhesive when applying Karndean Tile & Plank over porous subfloors, such as concrete or wood. All plank installation must be wet-set. Spread the adhesive in small sections with an l/16" x l/16" x l/16" V-notched trowel. Each section must be no larger an area than can be covered with flooring in approxi-mately 20 minutes. Allow a few minutes open time for the adhesive to tack up, and then install flooring immediately before it skins over or dries. 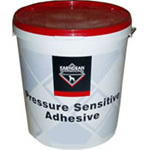 The adhesive working time is approximately 20 minutes under normal conditions. Position the plank or tile firmly in the adhesive without sliding. Periodically check to make sure that at least 95% of the adhesive pattern has been transferred to the back of the plank or tile. 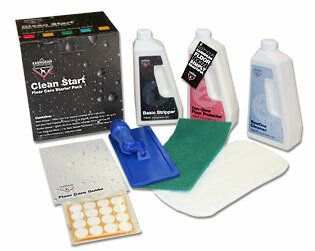 If adhesive starts to set up or skins over scrape it up and reapply fresh adhesive. Roll each section immediately upon completing with a minimum 100-lb. three-section roller. Re-roll the entire area after one or two hours. Do not wash or polish the floor for a minimum of 48 hours after installation. 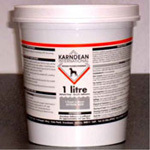 Use K-91 Adhesive when applying Karndean Tile & Plank over porous subfloors, such as concrete or wood, and non-porous floors, such as existing vinyl floors. For installation over porous surfaces, adhesive may be used either wet or as a pressure sensitive adhesive. To use wet, apply adhesive with the recommended trowel, see side of adhesive pail, and allow to flash-off for 5 to 10 minutes before installing flooring. Lay tile or plank into wet adhesive. Adhesive must transfer 100% to floor product to ensure proper bond. 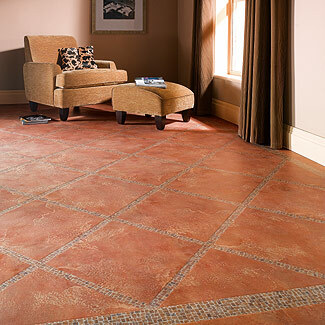 To use as a pressure sensitive adhesive, allow drying to a tacky state and then install flooring within 3 hours. Within 30 minutes after installation is complete, roll and cross roll entire floor with a 100 pound sectional roller. Use hand roller in areas which cannot be reached with larger roller. Check 1 to 2 hours after installing flooring material and roll again if necessary. For installation over non-porous surfaces, apply adhesive with the recommended trowel, see side of adhesive pail, and allow to dry completely from yellow to tan and lay in the tile or plank within 3 hours. The highly aggressive pressure sensitive grip prevents slippage and minimizes seam gaps. Drying time is 45 to 90 minutes and will vary due to installation site temperature and humidity. Installation over areas of incomplete drying can result in job failure. Within 30 minutes after installation is complete, roll and cross roll entire floor with a 100 pound sectional roller. Use hand roller in areas which cannot be reached with larger roller. Check 1 to 2 hours after installing flooring material and roll again if necessary. Use K-92 Adhesive one part epoxy when applying Karndean Tile & Plank over porous subfloors, such as concrete or wood, and non-porous floors, such as existing vinyl floors. For installation over porous surfaces, apply adhesive with the recommended trowel, see side of adhesive pail. Install flooring into wet adhesive. Adhesive must transfer 100% to back of flooring to ensure proper bond. Do not spread more adhesive than can be laid into within 30 minutes. Open time is approximately, depending upon installation site temperature, humidity, and porosity of the subfloor. Within 30 minutes after installation is complete, roll and cross roll entire floor with a 100 pound sectional roller. Use hand roller in areas which cannot be reached with larger roller. Check 1 to 2 hours after installing flooring material and roll again if necessary. For installation over non-porous surfaces, apply adhesive with the recommended trowel, see side of adhesive pail, and allow adhesive to flash off for 15 minutes. Open time will depend upon installation site temperature and humidity. Adhesive must transfer 100% to back of flooring to ensure proper bond. Within 30 minutes after installation is complete, roll and cross roll entire floor with a 100 pound sectional roller. Use hand roller in areas which cannot be reached with larger roller. Check 1 to 2 hours after installing flooring material and roll again if necessary. 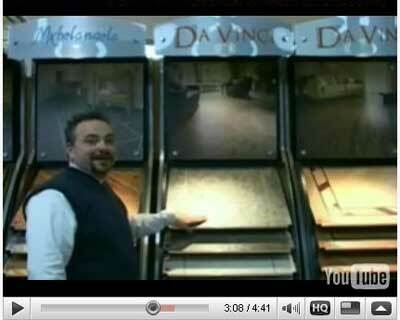 Karndean insists that all Karndean Vinyl Flooring products are laid using only Karndean adhesive. 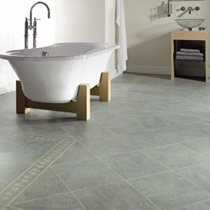 This is to ensure that your Karndean Vinyl floor is laid properly and securely. They carefully test each adhesive in a variety of conditions. Each adhesive is made specific to varying climate, temperature, and geographic differiences to ensure the best possible results of your Karndean Vinyl Floor. Ideal for use over non-porus and porous subfloors, excluding areas subject to excessive temperature and moisture. Ideal for use in areas subject to high temperature fluctuation or excessive moisture. 1 Gallon - Approx. coverage: 150-180 sq.ft. 4 Gallon - Approx. coverage: 600-720 sq.ft. Ideal for use over porous subfloors, excluding areas subject to excessive temperature and moisture. 1 Gallon - Approx. coverage: 125-150 sq.ft. 4 Gallon - Approx. coverage: 500-600 sq.ft. The Karndean Vinyl Flooring Cleaning and Maintenance Guide is designed to show you how to get the best from your new Karndean floor. Karndean floors are very hardwearing, and like all vinyl products; regular maintenance will enhance the beauty and durability of your new floor. It is recommended that you purchase a Karndean Vinyl Floor Care Kit so that your floor retains its 'new floor' finish for the life of it in your home. 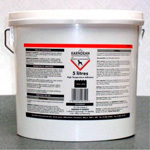 Basic Stripper: Quickly removes residues from installation and daily use, such as glue and footmarks. 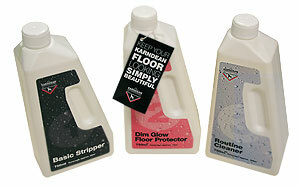 Dim Glow Floor Protector: After stripping and cleaning it is recommended that the floor is protected. The treatment provides protection from marks and fine scratches and facilitates easier routine maintenance. Routine Cleaner: The floor should be cleaned on regular to basis to refresh the surface without damaging the protective layer.